If you’re an avid underground desi hip hop fan, you’d be well aware of the track ‘Chill‘ which dropped in June this year. The track by Delhi’s Puneet Kohli & Marshall The 3rd, Prod by Varun rippled through the underground and quickly because a summer anthem for desi hip hop heads all over the world. 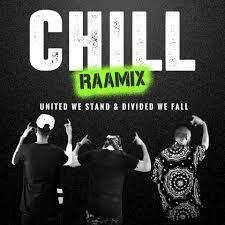 You also might be aware of how the track caught the attention of Raftaar, he hit the boys up asking to do a #Raamix…? Well wait no more, the track is here and it’s a BANGER! We’ll let the video do the talking as it’s set to be a classic!